You are viewing the archived Lawn Mower rating page. Follow the link to view the current Lawn Mower rating page. 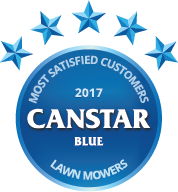 Canstar Blue reviews lawn mowers from Victa, Honda, Masport, Bosch, Rover, Ozito, Ryobi and ALDI on their reliability and performance, grass cutting quality, ease of use, maintenance/servicing, value for money and overall customer satisfaction. Canstar Blue research finalised in June 2017, published in July 2017. In Canstar Blue’s 2017 review of lawn mowers, Victa has proved a cut above the rest. Replacing Masport at the top of the ratings, Victa was rated five stars across all research categories, including reliability and performance, ease of use and grass cutting quality. It is the first time that Victa has received five stars for overall customer satisfaction. When it comes to lawn mowers, you have two options – buy a cheap lawn mower that should be up to the job but may only last for a couple of years, or invest in a more expensive model that should deliver superior results and last the test of time. It all comes down your personal needs and circumstances. But one thing is for sure – if you take your eye off the ball during summer, you will need a quality mower to get on top of things. So, which mowers are up to the challenge of relentlessly fast-growing Australian lawns? Our customer reviews and ratings can guide you in the right direction. Having surveyed hundreds of consumers across the country – who have purchased a new lawn mower in the last five years – our ratings provide a high level review of which brands are living up to expectations and which have work to do. Where can you buy the best lawn mower? Our ratings suggest Victa mowers are a cut above the rest. Victa earned five-star reviews across all research categories in 2017, including reliability & performance, grass cutting quality and ease of use. Impressively it even rated five stars on value for money, showing that the extra upfront cost is likely worth it. This year’s survey found that Aussies spent an average of $515 on their new lawn mowers, with one in five (21%) respondents admitting they wish they had spent more on a better model. To help you avoid disappointment and find the best lawn mower for your specific needs, here is an overview of the eight brands in this year’s report and what they have to offer. Victa is known as one of the quintessential Aussie icons. As the jingle goes “football, meat pies, kangaroos and Holden cars”, Victa is right up there as one of the true blue Aussie brands, and lawn mowers are the flagship appliances of the Victa brand. It has an incredibly wide range of mowers to pick from, including four-stroke petrol models. It has also moved with the times to manufacture electric lawn mowers, too. A lot of home hardware and DIY stores stock Victa lawn mowers, and prices start from as little as around $400, up to and over $700 for the high-end models, such as the ‘Commando 700’ pictured. With many models you can expect class-leading torque figures and deck sizes, making most suburban lawns a fairly easy chop. In a testament to Aussie quality, Victa received five stars for overall customer satisfaction in our 2017 review, and in every other research category. The other seven brands in this report only achieved three top ratings between them. Not many brands specialise in both motorcycles and lawn mowers, but Honda is one of them. 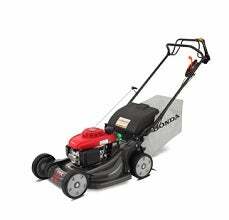 Honda claims to offer “groundskeeper quality at home”, and with that sentiment, its range of lawn mowers could have you feeling greased up like Groundskeeper Willie. Honda produces a wide range of domestic and ‘premium domestic’ models, with the premium domestic models generally featuring more bells and whistles. Honda’s domestic range starts at around the $400 mark, while some models cost over $900, such as the HRX217HYU model pictured. Many of the petrol variants feature cutting widths of well over 50cm, which should make for an easier time in the yard. The Honda brand is pretty much synonymous with reliability, and while you won’t find a ‘V-Tec’ on a Honda lawn mower, or win a Formula 1 Grand Prix with one, they do seem to represent a solid option in the world of garden maintenance. Honda has previously topped our customer ratings for lawn mowers, but in 2017 it rated four stars across every category. 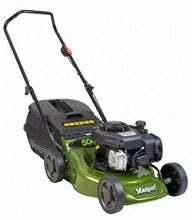 Masport is a name synonymous with outdoor power equipment, and its wide range of lawn mowers is no exception. 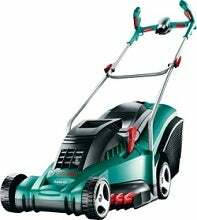 It produces hand, electric, cordless and petrol mowers, including the rather modestly named ‘President’ series and Silver series. These lawn mowers pack one hell of a punch, with prices around $300-$500 with impressive torque figures across a lot of models. Masport is a brand that was founded over 100 years ago in New Zealand, and evidently our Kiwi neighbours are onto a good thing, with Masport mowers a common sight in Aussie backyards. Masport is not a ‘cheap and cheerful’ brand, but many of its mowers have a lot of features and power for the price. It was also a solid performer in our 2017 ratings, with four stars for overall customer satisfaction and in every other research category. Pictured is the 500 ST S16.5 model from the President range, priced at around $350. The Rover range of lawn mowers is split into three different categories – push lawn mowers, self-propelled lawn mowers and cylinder lawn mowers. Across the categories there is a wide range of mowers to choose from, ranging in price from around $300 all the way up to about $800. Model names evoke British regality, with names like ‘Flinders’, ‘Oxley’ and ‘Blaxland’. Most petrol mower deck sizes are at least 45cm, with the largest topping out at around 50cm. The larger the deck, the easier the cut – generally speaking – and Rover has a wide range to suit a variety of lawns. Its self-propelled lawn mowers are also especially handy if your lawn has any type of incline, or if you just want to rest those tired muscles. Rover lawn mowers were rated four stars for overall customer satisfaction in 2017, but the brand was notably rated five stars on value for money and maintenance/servicing. 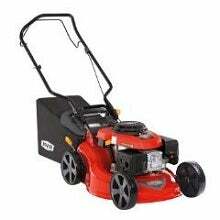 Pictured is the Rover Blaxland mower, priced at around $400. Ryobi is perhaps best known for its range of power tools, like drills, but it also produces a range of lawn mowers, with some looking pretty futuristic. Ryobi has even paired with Subaru – the car manufacturer – to produce a range of powerful lawn mowers. While they won’t win a rally championship like a WRX could, Ryobi mowers tend to be pretty powerful with mid-large sized cutting widths. It produces a range of both electric and petrol lawn mowers. 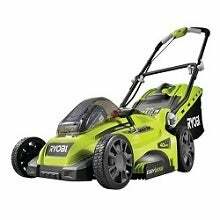 As for price, a lot of Ryobi lawn mowers tend to be around the $500 mark, both petrol and electric, including the 36V model pictured. The exciting Subaru/Ryobi range is also around the same price. Ryobi was a solid performer in our review, rated four stars for overall satisfaction. It was also rated four stars in every other research category, including reliability & performance, ease of use, value for money and grass cutting quality. As the most mysterious brand in the ratings table, ALDI’s ‘Gardenline’ series is pretty much only available as a Special Buy – here one week, gone the next. If other special buys are anything to go by, ALDI is always improving on its products and refining their prices. 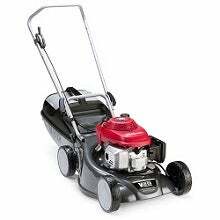 When most recently available, ALDI’s lawn mower boasted a four-stroke engine, with a 40cm-odd cutting width, making it suitable for most modern backyards. It also featured a sizeable catcher. Expect the next revision of ALDI’s lawn mower to be an improvement, and its price of around $140 may change. In any case, ALDI is known for bargain products, and this is a bargain price. However, Aussie shoppers look at a lot more than price alone, and ALDI’s rating of three stars for overall satisfaction reflected this. Its lawn mower was also rated three stars in every other research category. An electronics and home appliance giant, Bosch makes a fairly concise range of lawn mowers. 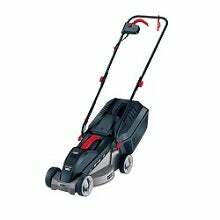 More specifically, it specialises in electric lawn mowers – both corded and cordless. As such, Bosch is a brand that may be better suited to smaller lawns, where electric models thrive. The cordless models have a run time of between 45 and 140 minutes, while corded models feature oodles of torque, just like an electric car. The Rotak 43 for example (pictured) boasts an 1800W motor and 23nm of torque. Most of Bosch’s lawn mowers feature cutting widths of over 40mm. Entry-level Bosch mowers can be had for around $200, while others cost in excess of $1,000. As Bosch is an electric lawn mower specialist, this may put off those wanting a petrol lawn mower. Bosch was rated three stars for overall satisfaction in 2017, but was rated four stars for ease of use. Ozito is an outdoor appliance brand from Bunnings Warehouse and is therefore exclusive to the retailer’s stores and website. As Bunnings is commonly known for, the Ozito range also trends towards budget pricing. 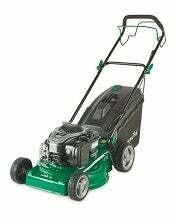 On offer are cheap electric lawn mowers, with prices generally under $400. Its range is split between both corded and cordless models, with the latter claiming a 300m² yard range. You can pick up the cheapest Ozito lawn mower for about $100 (pictured), and as such you probably can’t expect the world. The Ozito range is perhaps suited to smaller suburban blocks, with sub-40cm cutting widths and modest 25m extension cords coming with the corded models. You might need to buy an extension cord! Ozito was rated three stars for overall satisfaction in our review, but notably was rated five stars on value for money. What mower you buy is about more than just getting the cheapest one you can get away with. Probably the most important first step is to look outside. Yes, look outside at your yard. While an electric mower may seem like the no-brainer option, if you have a sizeable yard, do you want to be dealing with extension cords or batteries, or would petrol be the better option? Also look at specs like cutting widths and how fine-tuned you can make your cut. The latter lets you cut your grass exactly to the length you want it, and the former gets through more grass, more quickly. However, high-spec lawn mowers also generally demand higher prices so you may want to question whether you need the fanciest mower at all. Many of us live in suburbia, and blocks are generally getting smaller, houses getting bigger and lawns are shrinking in size. So if your lawn resembles more of a nature strip than a paddock, question whether you really need that $1,000 mower. Chances are, this is where a cheaper electric model will shine, and if your neighbours are close they may appreciate the relative silence an electric mower brings. An expensive, top-of-the-line mower may be tempting, but question whether your yard really needs it. In any case, it pays to shop around and look at a range of different brands and models – there’s bound to be one out there that’s right for you and your budget. Canstar Blue commissioned Colmar Brunton to survey 3,000 Australian adults across a range of categories to measure and track customer satisfaction. The outcomes reported are the results from customers within the survey group who have bought and used a new lawn mower in the last 5 years – in this case, 655 people.